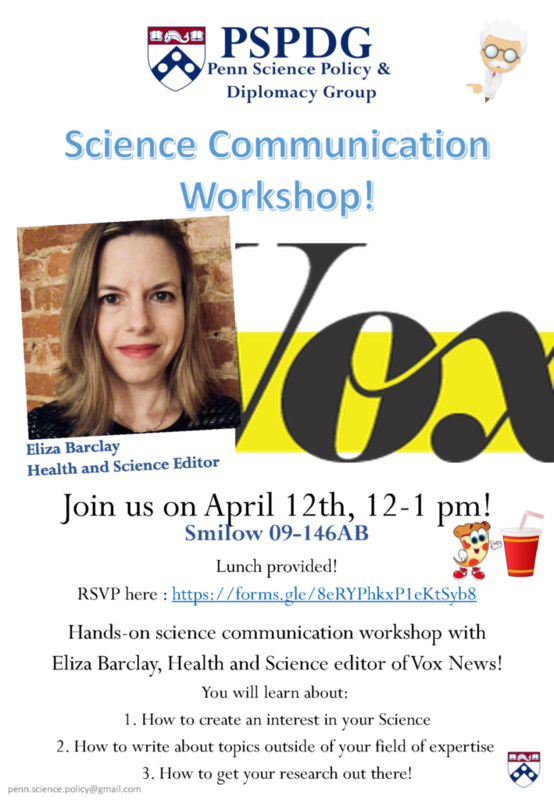 PSPDG will host a hands-on science communication workshop with Eliza Barclay, Health and Science editor of Vox News. Lunch will be provided! “Policy memos are the currency of the advocacy world. Used by political staffers, activists, community organizers, corporate lobbyists, and NGOs, they can be distributed to policymakers, the press, and even the general public. They summarize an entire complicated, controversial topic into a few pages, giving the reader the lay of the land and an overview of how you feel about it in just a few minutes. 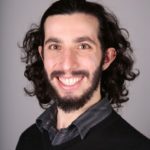 Anyone wanting a career in science policy will want experience writing policy memos, and we’re hosting a workshop to teach you all about them! The workshop will include tips and tricks from major political advocacy groups, as well as hands-on learning to give you a head start in preparing for your submission to the National Science Policy Network’s Memo-Writing Competition. The winning science policy organization gets up to $1,000 for programming!